RATE OF APPLICATION: A light misting is all that is needed so each can will go a long way. 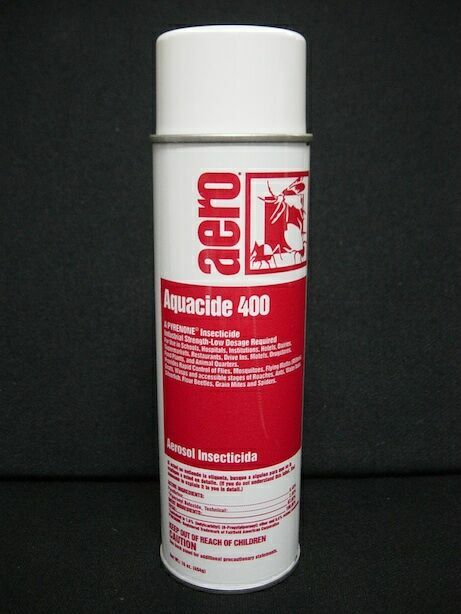 When treating air spaces for flying pests, use at the rate of just 1 second of spray per 1000 cubic feet of air space. This would be a room which is 10 feet wide by 10 feet long with a 10 foot high ceiling. So when treating air spaces, a little bit goes a long way. Inside pantries on shelving and other broad surfaces, the rate is 30 seconds for every 100 sq/ft for beetles and weevils; 7-10 seconds for ever 100 sq/ft when treating for moths. Reapply as needed. Works awesome!! Unfortunately our moth issues were way to big for the spray to keep up. We had to call pest control to take care of them. It works very well and doesnt take much pleased with product.